While the first week of December might be considered the start of exams, for figure skating fans, it's the end of the Grand Prix series. 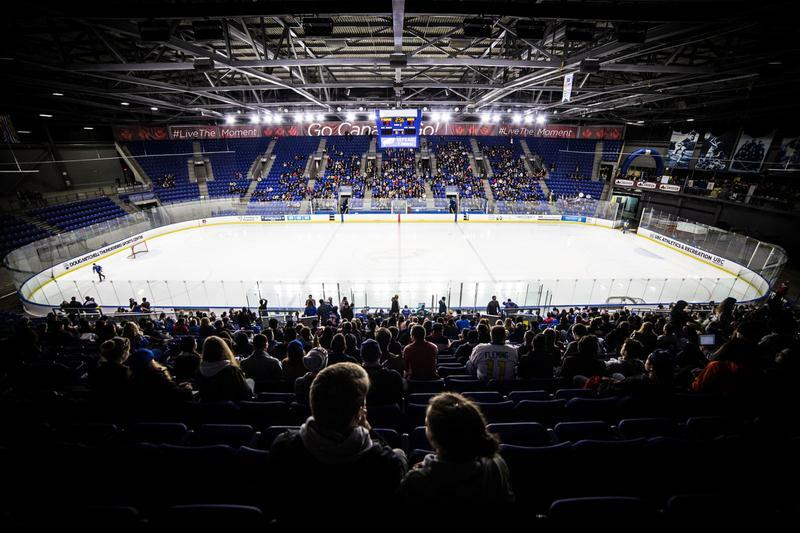 This year, UBC is hosting the finals at Doug Mitchell Thunderbird Sports Centre from Thursday, December 6 through Sunday, December 9. The Grand Prix Final is the most exclusive competition of figure skating season. Only the top six skaters or teams in each division (Mens, Ladies, Pairs and Ice Dance) are able to compete. Even the entry into the series is competitive: the events are invite-only and based on the skater's previous season. The series is considered the unofficial start of skating season and comes before national skating competitions, which in turn decides who will go to the next major completions — World's, Four Continents and European's. Tickets have been sold out for months for this week’s event, but CBC will be airing the competition. Canada's Keegan Messing was considered heir apparent to Patrick Chan's Canadian men's throne, but he seemed to be lacking some consistency in his programs this season. Messing started the season off extremely strong, winning gold in September's Nebelhorn Trophy as part of the Challenger series and taking silver behind Shoma Uno in his first Grand Prix event, Skate Canada. He would have needed a clean skate in his second event, Russia's Rostelecom Cup in mid-November, to take a spot in the final — unfortunately, he placed fifth and was named first alternate for the Finals. However, after Olympic gold medalist Yuzuru Hanyu of Japan withdrew from the finals, an invitation was extended to Messing to make his Grand Prix Final debut this week. This is Hanyu's second year in a row withdrawing due to an injury, after winning the finals four consecutive seasons. Young American Nathan Chen has qualified after winning gold in both of his events, making this the 19-year-old’s third Grand Prix Final; he is returning as both reigning Grand Prix champion and winner of last year's World Championships. Chen is known for his impressive quad jumps. At last year's Olympics, he only placed fifth overall, citing nerves as his downfall. Czech skater Michal Brezina, South Korean 17 year-old Cha Jun-hwan and Russian Sergei Voronov, will also be at the finals, alongside Japan’s Uno. UBC alumni, Kevin Reynolds was also entered in the Grand Prix series, surprising many fans who believed he would be retiring after his fifth-place finish in Canadian nationals last year – a result which put him out of Olympic running. Unfortunately, he did not place high enough in either of his events to be in the running for the Finals. For the only other skater representing Canada, look to the Junior Grand Prix Final, where 13-year-old Stephen Gogolev was called up after a finalist withdrew. The Toronto-based skater is by far the youngest skater in his bracket, having just qualified for the Junior events this year. Gogolev shows considerable promise, having placed 10 overall in last year's Canadian nationals at the senior level. Canada's Kaetlyn Osmond, who won gold at the World Championships and Canadian Nationals as well as bronze in the individual event at the Olympics last season, is taking this season off. With her absence, the field is thinned out to two countries: Russia and Japan. Alina Zagitova, Anna Shcherbakova, Elizaveta Tuktamysheva and Sofia Samodurova, all from Russia, have qualified for the final. Samodurova is making her senior's debut this year, while the 21-year-old Tuktamysheva is in her career renaissance. Many already knew Olympic silver medalist Evgenia Medvedeva of Russia would be in the finals this year. However, she has switched coaches from Eteri Tutberidze to Brian Orser this season — a surprise to many as top Russians skaters almost never train with a non-Russian coach. Orser, a Canadian, also coaches Gogolev, Hanyu and Cha. For Japan, world bronze medalist Satoko Miyahara, Kaori Sakamoto and 16-year-old Rika Kihira — whose impressive win at the NHK Trophy in Japan in early November earned her a spot in the finals in her first year at the senior level — will all be skating at the Grand Prix. Both Miyahara and Sakamoto represented Japan at last season's Olympics, placing fourth and sixth respectively. The ladies event will be a particular highlight of the week, as they seem to be in a jump revolution as more women are attempting the triple Axel and even quad jumps. Long-time Canadian pairs skaters Meagan Duhamel and Eric Radford retired after their bronze medal finish at the Olympics last year, leaving Canada out of the finals for at least this year. French pair Vanessa James and Morgan Ciprès, who claimed bronze at the World Championships last season, claimed their first ever gold in a Grand Prix event at Skate Canada International, earning them their first spot in the finals together. This is also Nicole Della Monica and Matteo Guarise of Italy's first Grand Prix Final. Russia is represented by three teams this year: Evgenia Tarasova and Vladimir Morozov, Natalia Zabiiako and Alexander Enbert, and Daria Pavliuchenko and Denis Khodykin. The Tarasova, Morozov pairing took silver at last season's World's and gold at both of their Grand Prix events. Zabiiako and Enbert won both of their events to qualify for finals. The only pairs team from outside Europe comes from the Chinese pair of Peng Cheng and Jin Yang. The two won the Challenger Series event Asian Open and placed second at both their Grand Prix events. Internationally beloved ice dancers Tessa Virtue and Scott Moir have also retired after an incredibly successful career with three Olympic gold wins and two silver. Their retirement, although not unexpected, was still a disappointment for many fans. With them out of contention too, no Canadian ice dance team has qualified to the final, although Piper Gilles and Paul Poirier are currently second alternates. Americans Madison Hubbell and Zachary Donohue claimed gold in both their events to earn their spot in the finals. Fellow Americans Kaitlin Hawayek and Jean-Luc Baker have also made it to the finals after a series of injuries limited their success in recent years. Russian teams Alexandra Stepanova and Ivan Bukin, Tiffany Zahorski and Jonathan Guerreiro, as well as Victoria Sinitsina and Nikita Katsalapov are finalists this season — a first for all three teams. Stepanova and Bukin won gold at both of their events, while Sinitsina and Katsalapov claimed silver at their events. Zahorski and Guerreiro took a silver and a bronze at their events and took the last place in the finals. Charlène Guignard and Marco Fabbri of Italy are also finalists this season, after winning silver medals at their events. This season is the first time the pair have placed at any Grand Prix events, calling their first silver a “great reward” for the team. A notable absence from the finals is French team Gabriella Papadakis and Guillaume Cizeron, Olympic silver medalists and reigning Grand Prix and World Champions. A back injury for Cizeron caused them to withdraw from their first event and lost them their chance at the finals.